The ProThermo® PT-9 therapy system is an electronically controlled thermal therapy and compression device; for the treatment of both chronic and post-operative pain and edema. This versatile system is designed for use in hospitals, clinics and training rooms. ThermoTek’s Medical Division brings a total patient solution approach to the orthopedic rehab patient. Healthcare’s total solution to DVT/VTE patient management, America’s orthopedic surgeons, spine specialists, podiatrists, vascular surgeons and other healthcare professionals refer for and rely on the VascuTherm as the preeminent, multi-modality approach to the prevention of venous thromboembolism (VTE), post-operative pain & edema. ThermoTek’s BraceTek line provides physicians and patients with the total patient solution approach to lower extremity and spine stability. The BraceTek Knee ROM provides medial and lateral control of the knee via metal double uprights for rigid support. With its’ adjustable loop and lock closures, and full adjustable, polycentric flip-top hinge, the BraceTek Knee ROM is favored by orthopedic surgeons for their patients with medial, lateral, or anterior/posterior ligament instability. The BraceTek Knee ROM features an integrated thermal/compression wrap that connects directly to the VascuTherm for post-operative cold and compression therapy. The BraceTek LSO is a fully-functional lumbar sacral orthosis; providing rigid support of the spine from the sacrum to the T-9 vertebra. The BraceTek LSO offers sagittal control via rigid anterior and posterior panels; providing intracavitary pressure to reduce the load on inter-vertebral discs for consistent pain relief. The BraceTek LSO also features an integrated thermal/compression wrap that connects directly to the VascuTherm for post-operative cold and compression therapy. Compression Therapy for Vascular or Lymphatic Insufficiency. 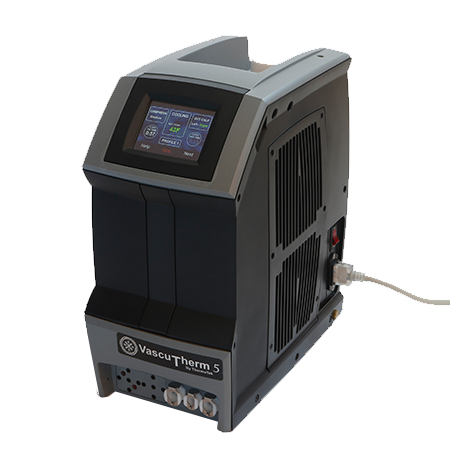 VascuComp 3-DVT - The VascuComp 3-DVT therapy system is a table-top, AC powered pneumatic compression system capable of providing intermittent sequential compression therapy for the prevention of DVT. 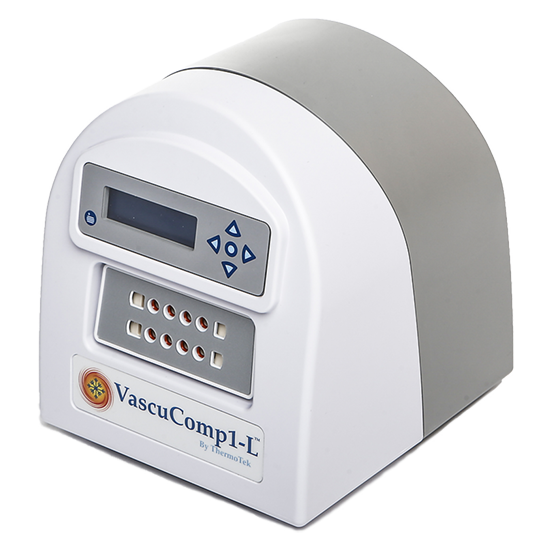 VascuComp 1-L and 3L - The VascuComp 1-L and 3-L Therapy Systems provide pneumatic compression therapy to treat disorders associated with vascular or lymphatic insufficiency. 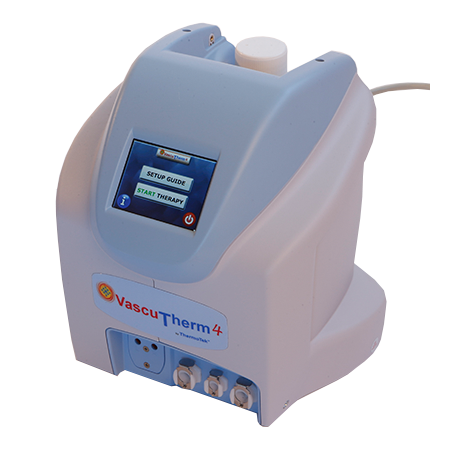 VascuComp 1-AI - The VascuComp 1-AI Therapy System is designed to enhance arterial blood flow by providing targeted sequential gradient compression of the foot followed by the calf using a rapid inflation/deflation pressure pulse. This compression cycle accelerates the venous velocity which results in improved arterial flow. 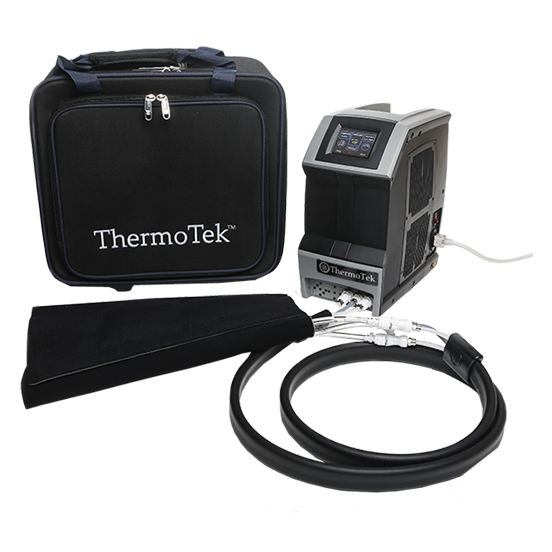 From thermal & compression systems, to joint and spine stability, to vascular and lymphatic management, ThermoTek offers you the total patient solution to post-operative, rehabilitative therapy management.